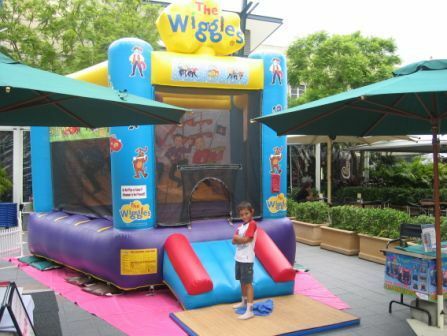 Jumping castles are heaps of fun, especially at a special event or occasion. Cath and Kim's Jumping Castles are a great, and affordable way to make your next function that little bit more interesting. This great family business has been around for the past eight years, and offer a range of jumping castles for a variety of events. Some of the types of jumping castles available include large castles, slides and monster combos – which come in different themes and sizes that will suit any child. 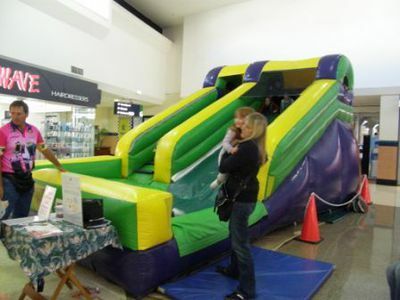 If your child can't wait to check out the jumping castles, simply attend one of the weekly locations where Cath and Kim's Jumping Castles are set up – either the Chandler Markets, one of the Westfield Shopping Centres or one of the Bunnings Warehouses (please ring 0418 331 360 to confirm where the jumping castles will be). Cath and Kim's Jumping Castles also offer a free site inspection to help your pick the right jumping castle for your next event. Supervision is also provided upon request. So if you are looking to make your next family gathering, fun day, corporate event, open day, or whatever occasion you may be having stand out; ring Cath and Kim's Jumping Castles on 0418 331 360, or book online via the website.